Madu is believed to be have originated in Indonesia. This, fruit which has a very sweet taste, is quite popular fruit in Indonesia. 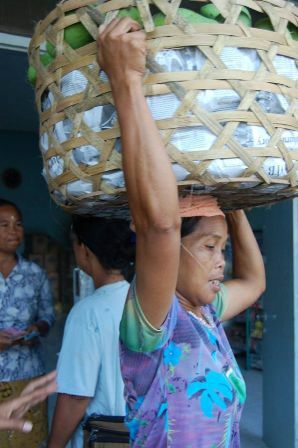 It is sold in large quantities in local markets of Bali and Jawa in Indonesia. Madu means “honey” in Indonesian language. 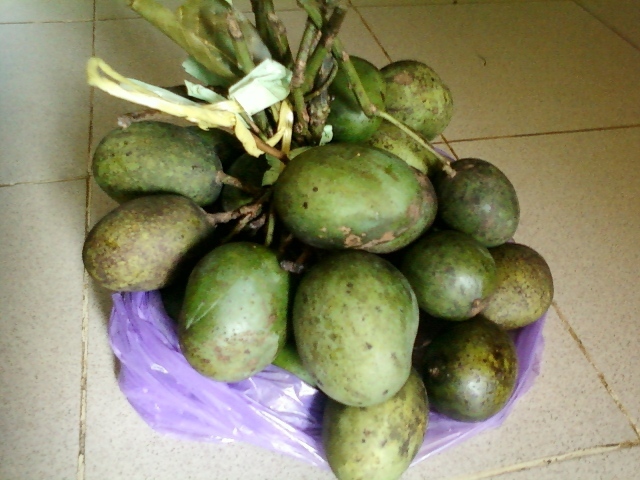 The name “madu”seems to have been assigned to this mango due its taste. 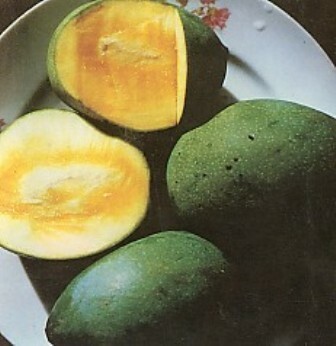 This mango was also introduced in 2012 in the Fairchild Tropical Botanical Garden of Florida. The trees had been propagated on “Turpentine”rootstock. It is reported to be doing fine there. A very large sized evergreen tree growing upto 40 m, bole 80 cm wide. Leaves leathery borne on pyramidal panicles, very fragrant, fragrance loved by bees. 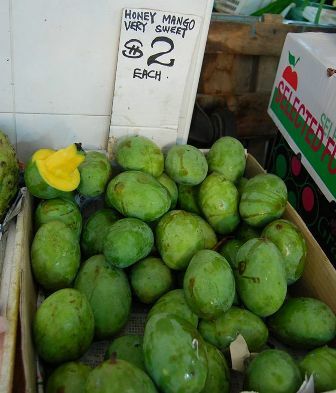 Fruits green even when ripe, skin is a bit thick and coriaceous; flesh white pale yellow with particular brown honey pockets in the flesh, nice, tastes like a sweet mango with a hint of sugar cane, 5 – 6cm long and 7 – 8cm wide; 200-250 g each. Madu fruits are popular with local people and eaten. These are also offered for sale in large quantities in local markets. Madu is also being used by mango breeders for evolving inter specific hybrids of mango. Madu fruits are mostly collected from the wild. At some places trees of madu are also being planted. New trees are raised mostly by seed. However, some superior selections are also propagated asexually by budding on seedling rootstock.